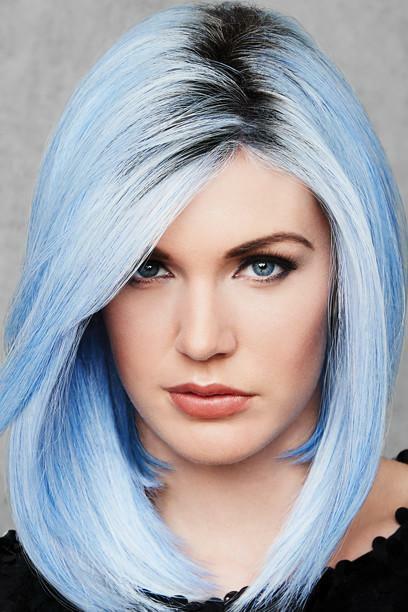 Welcome back to Wigs 101! Today we will be covering one of the toughest parts of the wig journey: finding the right color for you. This is always a difficult thing for many of our customers because it is hard to know what a color will look like on you when you can not see it in person--sometimes the colors that we initially want do not turn out to be the best color for us. But, at Name Brand Wigs by Joshua24.com, we want to make sure that you find a "tried and true" color of your very own. 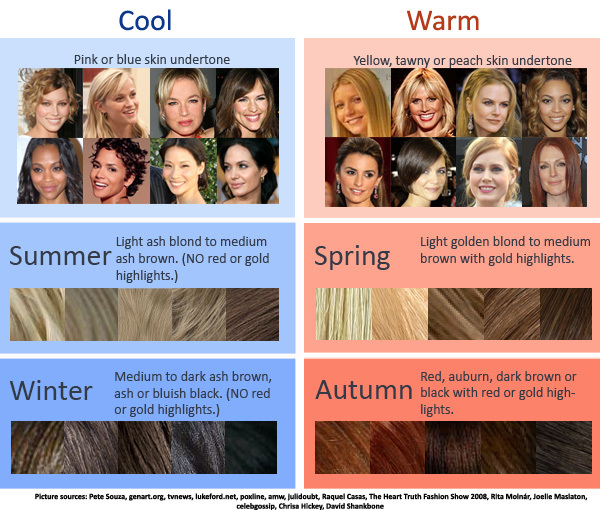 :-) Here are a few tips and tricks to get you on the right path to the color of your dreams. Check your veins. 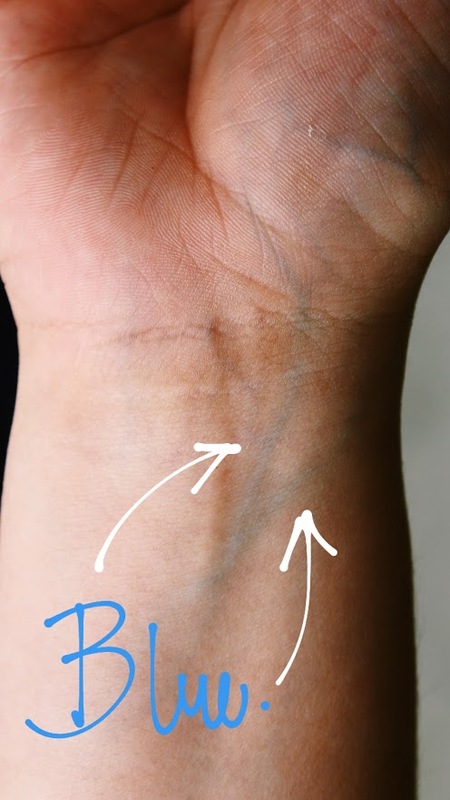 Push up your sleeves right now and look at the veins on the inside of your wrist. Are they blue or green? If they look more blue, you likely have cool undertones. 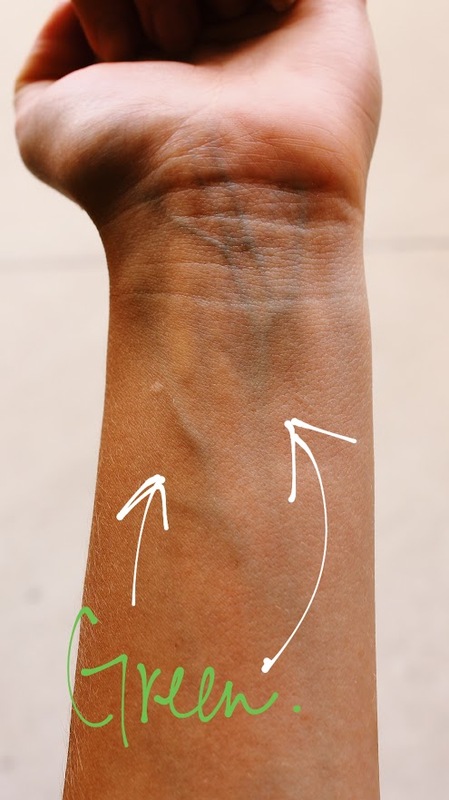 If the veins look green, you are warm toned. 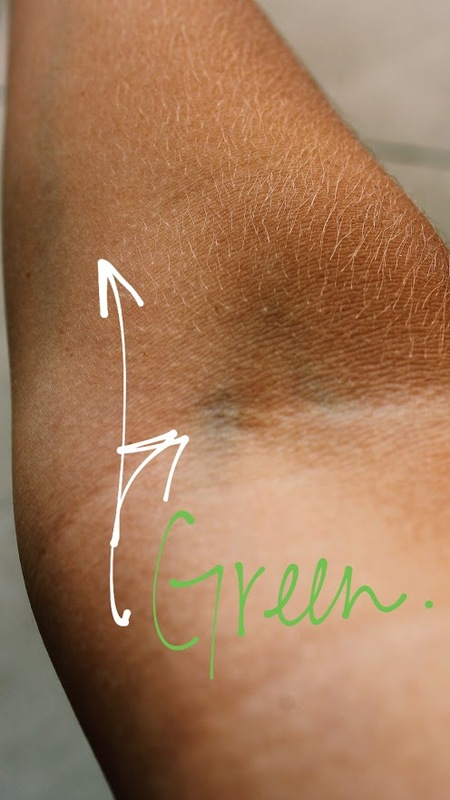 It is worth noting, warm toned ladies, that your veins aren't actually green-- they appear that way because you are looking at them through yellow-toned skin. Yellow + Blue = Green! And...These are my (Chloe's) warm-toned veins! Close up of warm veins. The jewelry trick. 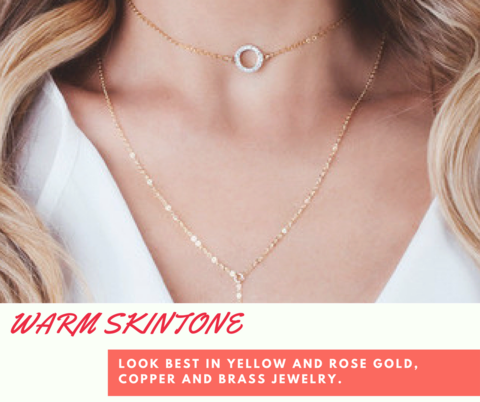 Think about whether you look better in gold or silver jewelry--not which one you like more, but which actually makes you look more radiant, glowing, and awake. 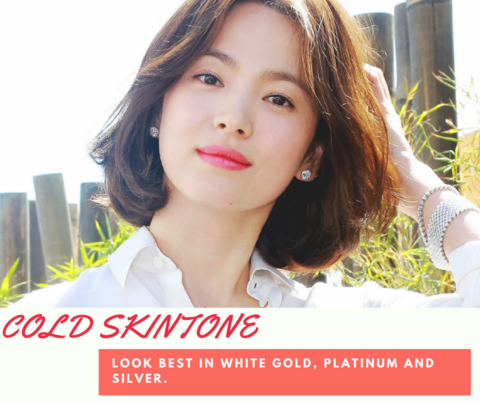 Typically, women with cool tones look better in silver and platinum metals, where warm toned women look better in gold. The neutral test. Think about what neutral shades flatter you best. Does your skin, eyes, and face look better in bright white and black hues? Or does it look better in ivory, off-whites, and brown/tan shades? If you said 'yes' to the first set of colors, you are probably cool toned. If you said 'yes' to the second set of colors, you are probably warm toned. Eye and hair color. 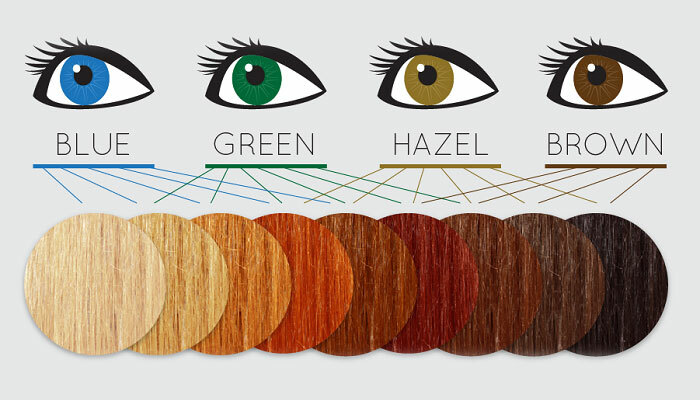 Your natural eye and hair colors can help you figure out your coloring. Customarily, cool women have eyes that are blue, gray, or green with hair that is blonde, brown, or black with blue, silver, violet, and ash undertones. Conversely, warm women usually have eyes that are brown, amber, or hazel eyes with strawberry blonde, red, brown, or black hair with gold, red, orange, or yellow undertones. What do y’all recommend for the shine in wigs? I used dry shampoo but it does not help very much. I appreciate your help and support..Thank you very much..
Caring For Your New Lace Front!